Your homepage is where the majority of people will land when they visit your website so it has to be clear and inviting. Think about the different purposes your website can have, mentioned in the paragraph above, and how you can highlight this aspect. It should also very quickly convey your ethos/style/brand, which helps both you and the customer. For you it should cut down on requests for bakes and cakes that are not in your repertoire and for the customer it will avoid them wasting their (and your) time getting in touch about something you don’t offer. There should be one sentence or very short paragraph that will instantly convey who you are and what you offer. The Hummingbird Bakery website displays two very clear messages on their homepage. Firstly it tells your exactly what it provides 'Authentic American cupcakes,cakes & desserts', then it directs the user to their online shop. This makes sure potential customers don't get sidetracked by less important content at first and focuses them on buying cakes or cupcakes. Liggy's cake website is primarily a portfolio showcase of all of their cakes and bakes, split into various categories but again the brand message is clear '...we create special cakes for special occasions.'. I'm quite in love with the Dot's Cupcakes website. The logo and tag line succinctly tells you what they're about - fresh baked cupcakes. The 'hero' image (web design speak for the main picture at the top of a page) also reflects their brand - fun, lively and celebratory. Below the beautiful image are three simple options to guide the customer. Quite obviously this will be the showcase for all of your beautiful creations. If I could give you one piece of advise for the gallery it would be that you don't need to display every single cake you've ever made, especially if you are trying to focus in on one niche. When you are starting up you will be happy to take all types of orders (and this is definitely the best thing to do) until you have honed your skills and identified the area you excel in. Once you've build up a collection of, say floral wedding cakes, begin to display just these types of cakes on your site and you will soon by the expert and go-to baker for that style. You may or may not want to list your favours on your website. Maybe they change constantly, or maybe you simple offer a limited range of sponges. If you feel it's appropriate to your business this can be a great place to explain what's in your cakes, such as highlighting local or seasonal ingredients. It can be difficult to post prices for your cakes on your website as so many designs must be prices on a case by case basis. Again it can be a good way to give your customers an idea of where your prices start, to avoid any time wasting. 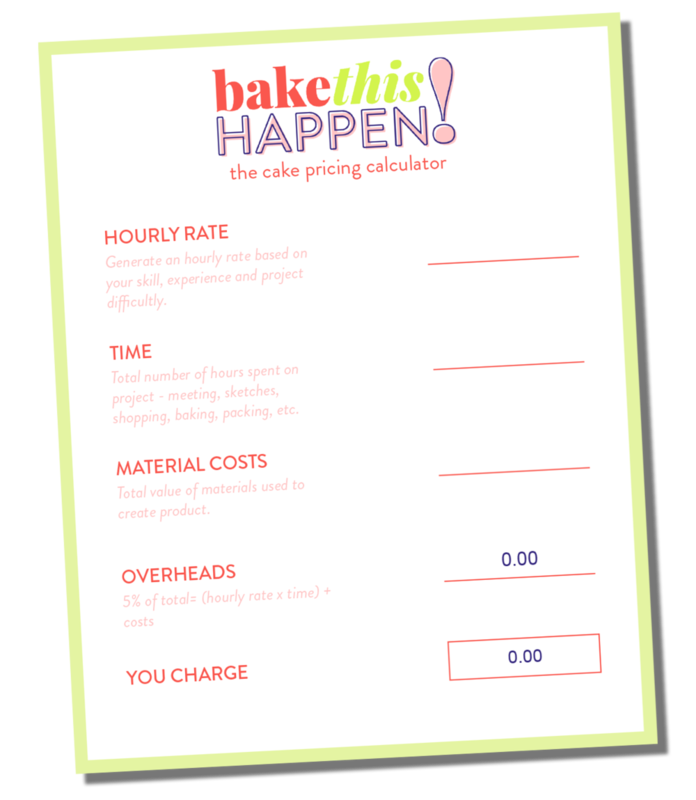 Items like cupcakes or cakes pops are also more likely to have standardised pricing which can be shown here as a guide to customers before they order. Your about page doesn't need to be your life story but everyone loves to be a bit nosey and a short bio would be perfect here. You can also expand on that tag line/bakery ethos from your home page to give customers are real understanding or your baking passion and what they can expect when ordering from your company. A blog can be a great way to keep your customers up to date on changes to your menu, behind the scenes at the bakery or a place to expand on the frequestly asked questions! It can also send more traffic to your website as people may come across one of your articles first then end up checking out your cake business! Have a look at the guest post by Lauren which runs through seven great ideas for your blog that will get your creative writing ideas flowing! If you find you are getting asked the same questions over and over, have all of the answers in one place on your website, that way you can direct your customers to this page rather than typing out the same email 50 times. It is also a great place to explain cake sizing, portioning or your delivery rates. One final point I want to touch on is the images for your website. As you'll already know as a baker, most people eat with their eyes, or in this case make up their mind about your business with their eyes! Having well composed, bright, high quality images will make or break your website. A small number of perfect images is infinitely better than a collection of poorly lit snaps in your kitchen. I am of the opinion that less is more on websites. Keep it simple and offer the information that is the most important to your customers. Don't just fill up your site because you can and be selective with high quality, useful content.